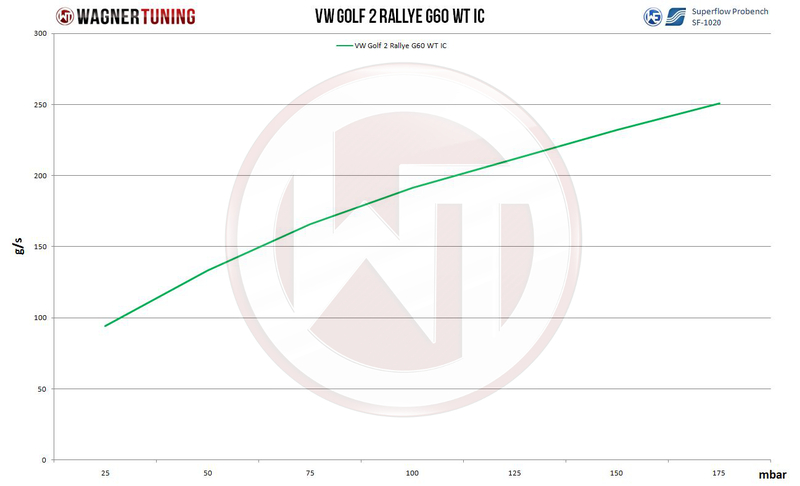 The Wagner Tuning Rallye Golf Evolution Intercooler is a high performance redesign of the original VW OEM intercooler designed specifically for all the hard-core Rallye Golf Enthusiasts. The original OEM is no longer available from the dealership, but Wagner Tuning has you covered. Our engineers have increased the intercooler core thickness by 10mm, and improved the end tank design to remove any OEM bottlenecks, resulting in increased flow rating and charge cooling properties. OEM Fit and finish for easy installation.